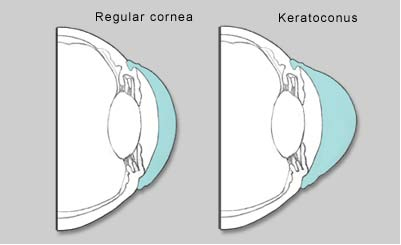 Keratoconus literally means conical cornea in Greek. 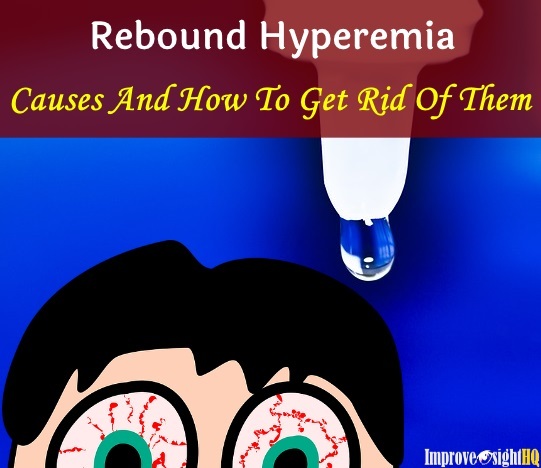 This eye disease affects about 1 out of every 1000 people. It is an eye condition in which the normally spherical shaped cornea, thins and begins to bulge into the shape of a cone. The cornea plays a critical part in our vision. When light enters our eye, the cornea refracts and directs the light rays onto our retina to form crisp images. In case of keratoconus, the irregularly shaped cornea causes light to be unable to focus properly and form distorted images. The distortion can be compared to viewing a road sign through the car’s windshield while driving in a rain storm. Keratoconus can affect one or both eyes and often begins during late teens or early 20s. The severity varies among individuals, from mild to severe vision distortion. The progression is generally slow usually 10 to 20 years, and can stop at any stage. If you experience the above symptoms, visit your eye doctor to check whether you have keratoconus. Eye doctors who are experienced with early signs of this eye disease, will measure the curvature of your cornea using corneal topography or keratometer. No one know for sure what is the exact cause. Some researchers believe that genetics played a role. 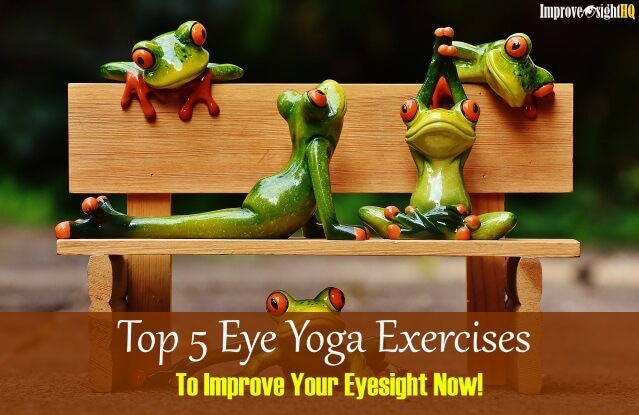 The eye disease is also associated with excessive eye rubbing, trauma to the eye, systemic diseases such as Down syndrome, chronic wear-and-tear due to contact lens wearing and overexposure to ultraviolet rays (sunlight). Keratoconus is also more likely to be found in people with certain allergies, asthma and connective tissue disorders. Keratoconus changes your vision in two ways. Irregular astigmatism - The normally smooth surface of the cornea becomes bumpy as the cornea changes from a ball shape to a cone shape. Nearsightedness - As the front of the cornea expands, light refracted by the cornea lands in front of the retina instead, causing the eye to become more nearsighted. 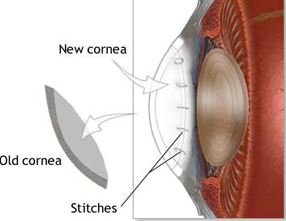 As the cornea becomes irregularly shaped, it becomes impossible to maintain clear vision without corrective lenses. 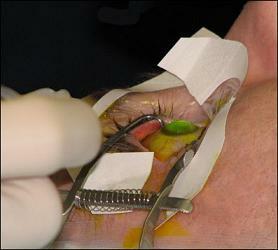 In severe cases, corneal scarring might be formed and a corneal transplant may be necessary to regain vision. It is also important to note that vision correction surgeries that involves laser (such as LASIK and PRK) are dangerous for people with the slightest keratoconus. It is important that you get a diagnosis from an eye doctor first. Only they can recommend the right treatment for your situation. In the earlier stages, eyeglasses are usually prescribed to correct the mild nearsightedness and astigmatism caused by the eye disease. 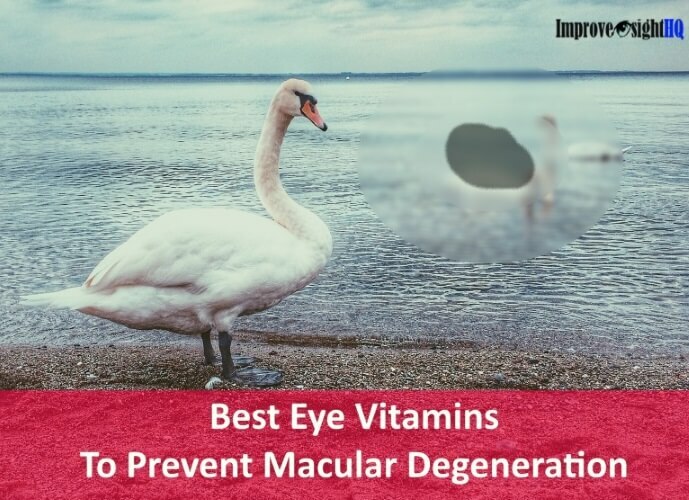 However, you will have to frequently update the prescription as your cornea changes. As the disease progresses, eyeglasses will no longer be effective. Rigid gas permeable (RGP) or hybrid contact lenses will be used instead. These lenses rest directly on the cornea and their rigid lens material forces the cornea to conform to its shape. Smoothing out the bumps on the surface of the cornea temporarily as long as it is worn. 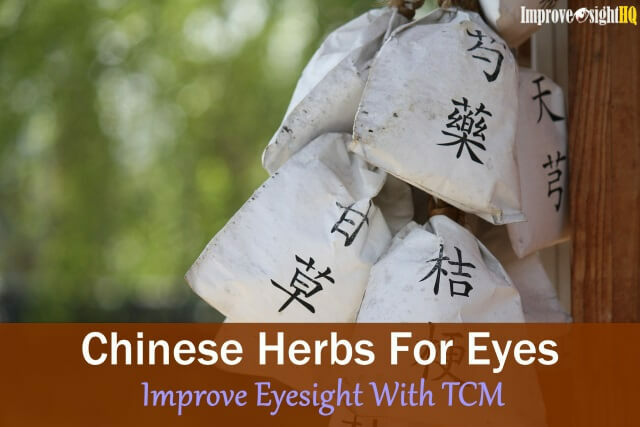 This usually restore good vision quality. If RGP is too uncomfortable for you, your doctor may recommend ‘piggybacking’ a hard contact lens with a soft contact lens on the same eye. The hard lens will be on top, with the soft contact lens acting as a cushioning pad below for increased comfort. But such fitting process requires a lot of precision, so be sure you work with a doctor experienced with this technique. Also for people who can't tolerate hard contact lenses, these contacts are made with rigid gas permeable material in the center surrounded with soft lens material for increased comfort. 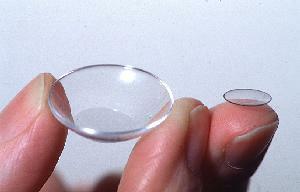 Scleral contact lenses are noticeably larger than the standard rigid gas permeable contact lens. 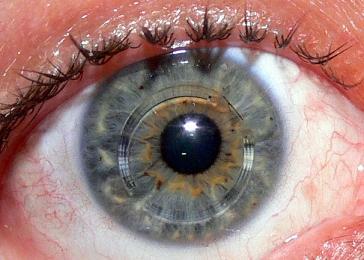 Instead of resting on the cornea like traditional contact lenses do, scleral lenses cover the cornea and rest their edges on the whites (sclera) of the eye. 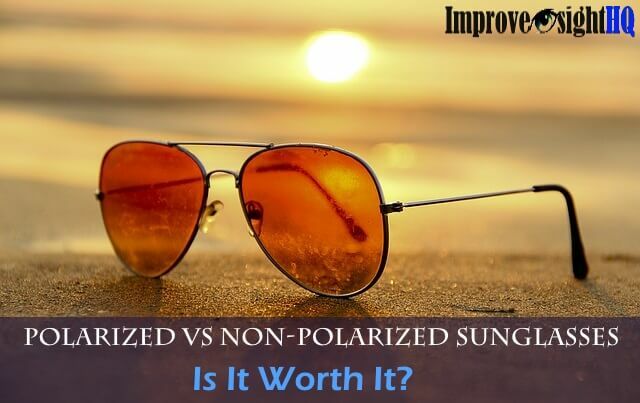 Scleral lenses are more comfortable than RGP because these lenses don’t apply pressure to the surface of the eye since the center of the lens vault over the cornea. They are also more stable than RGP which move with each blink because they cover only a portion of the cornea. If your vision is no longer being able to be corrected by corrective lens, your eye doctor may recommend you do Intacs insertion. During the surgery, your doctor inserts these tiny, transparent, crescent-shaped plastic segments (two of them) into the middle of your cornea to flatten the cone for better vision. These plastic inserts support the cornea's shape, making it more spherical and increase contact lens tolerance. The whole procedure is done on an outpatient basis and it only takes 10 minutes. The implants also have the advantage of being removable and exchangeable. 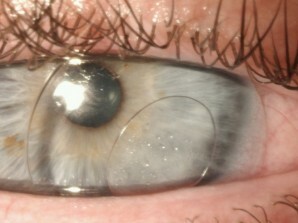 Another treatment option for keratoconus that is not yet FDA approved is collagen cross-linking. This treatment involves the application of riboflavin drops (vitamins B2) to the cornea and then shining UV light onto the cornea. The UV lights interacts with the riboflavin and starts a process which we called collagen cross linking. During this process the cross links, which link the fibers of the cornea, are increased thereby stiffening the whole cornea. 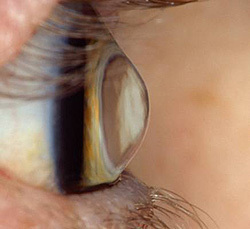 Early studies have shown this treatment may halt the progression of keratoconus and flatten the cornea to some degree. Corneal transplants, also known as keratoplasty, are the most common transplant procedure in the U.S. When no other treatment works and scarring has already taken place on the cornea, corneal transplant may be the only potential way to recover vision. During a corneal transplant, the doctor creates a ‘button’ of the distorted corneal tissue, removes it and the donor corneal tissue is grafted onto the eye. While a corneal transplant will relieve the symptoms of keratoconus, it may not provide you with flawless vision. You are most likely to need corrective lens for clear and there are a lot of complications which can happen. Therefore, a corneal transplant should only be considered as last resort.